"... explores the love of reading and the life of the librarian who cared enough to keep looking out for children who shared her love of books and have been unjustly segregated." World War 2 is a popular subject in books, games, and movies. A large proportion of its aspects have been examined and explored - the effects of food, propaganda, weather, weapons, etc have been scrutinised and theorised. Even the exploits and vices of countries involved have been looked at and dissected over and over. However, there still remains few details of that war, especially the consequences, that is not well-known and popular for various reasons. 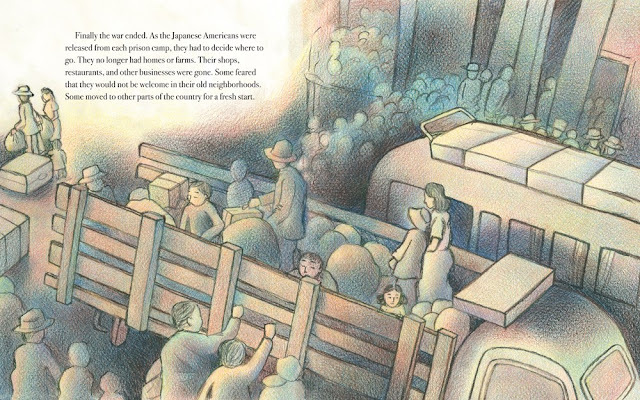 In any case, Write To Me by Cynthia Grady and Amiko Hirao is a book (albeit for 4 to 8 year olds) that looks at the treatment of Japanese-Americans at the hands of Franklin Roosevelt-led American government during World War 2. The bombing of Pearl harbour prompted the American government into sending all Japanese-Aameircanfamilies into prison camps for the duration of the war. The rationale was the fear that the Japanese-American communities might have spies reporting to the Japanese government. As a result of this thinking, Japanese-American properties were seized and everyone, including children, where sent to prison camps to live with minimum food and comfort. 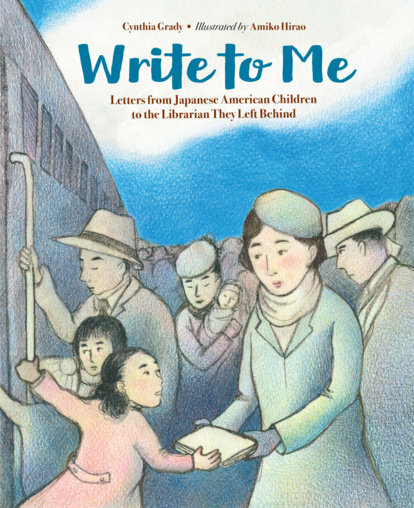 Write To Me by Cynthia Grady and Amiko Hirao is a story told from the perspective of children writing to their librarian, telling her of daily inconveniences and thanking her for the books she keeps sending to them. Write To Me is based on real life and the story of Clara Breed, a librarian in San Diego who advocated for Japanese-American children during the war and kept exchanging visits and letters with them, including sending them books. 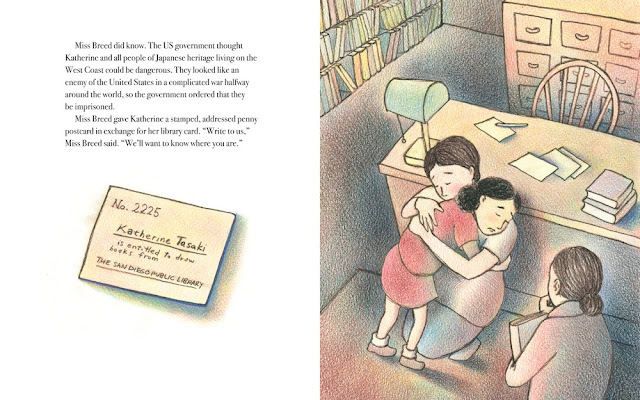 The book explores the love of reading and the life of the librarian who cared enough to keep looking out for children who shared her love of books and have been unjustly segregated. Write To Me by Cynthia Grady and Amiko Hirao is an insightful book, exploring a marginalised aspect of history. It is an eye-opener for children and adults and shows how the love of literature transcends races and backgrounds. Write To Me is published by Charlesbridge Publishing. Many thanks to them for the review copy.